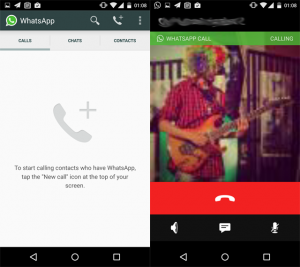 Whatsapp calling is an option that allows you to make calls via Whatsapp. This is done through the internet, and you have no phone costs. The option is similar to Skype. Users see on the home-screen a tab with Calls. From this tab phone calls can be made. If you’re locked on Whatsapp you can not reach that person via Whatsapp Call.